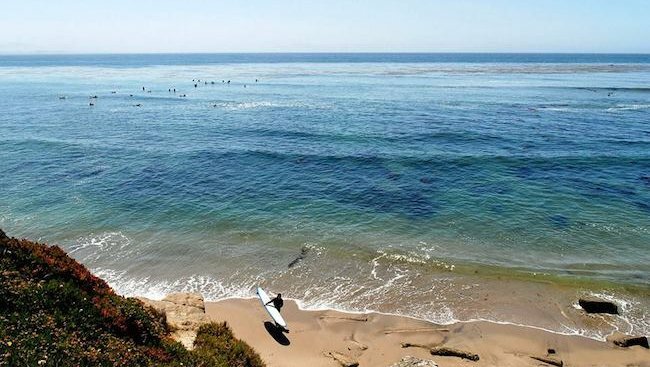 There are a lot of amazing things to do in Santa Cruz and Capitola, but do you know the cool, secret Santa Cruz things that only locals know about?? I know you’re begging to know… Okay, okay fine. We’ll tell you, but Shhhh don’t tell anyone….because they’re secrets! In the luxurious neighborhood of Opal Cliffs on the East Side of Santa Cruz is Privates Beach, which is (you guessed it) a private beach! However, during the summer it is open to the public to enjoy as well! It’s known as a local surfer beach, and although there isn’t too much sand to relax on, if you go at low tide there will be more room to spread out and enjoy. However, be forewarned, it’s also considered clothing optional, so you may see more than you bargained for. This is a great Santa Cruz secret spot to catch the sunrise too, if you’re willing to wake up at 5:30am. Afterward you can recharge with a coffee from Verve Coffee off 41st Avenue, paired with a delicious donut (Fruity Pebbles Cronut anyone?) from Dunlap’s Donuts, both just down the street. This beautiful grassy space surrounded by trees is hidden off of Branciforte Drive and offers picnic areas, playgrounds, sports fields, bocci ball courts, plenty of hiking trails and even a creek. This Santa Cruz secret spot is a whole other world waiting to be explored. A popular activity to try there is disc golf. 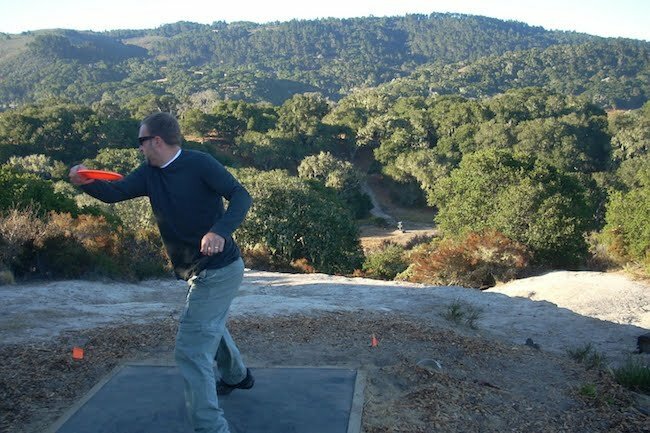 Disc golf is played much like regular golf, but instead of using a ball you use a flying disc. The object is to complete each hole in the fewest strokes. Bring a picnic and some beverages to enjoy after the game. DeLaveaga park is also where Santa Cruz Shakespeare takes place. Catch a magical performance of Shakespeare’s Romeo and Juliet amongst the Redwood trees during the Summer. 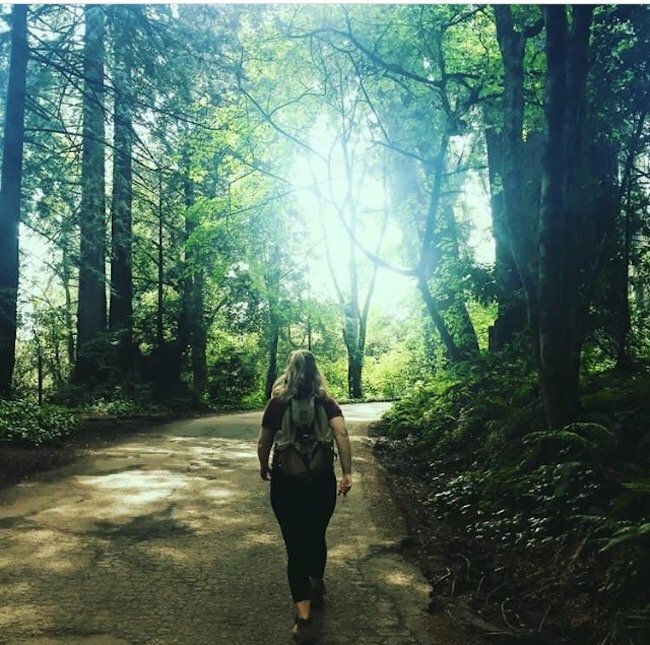 There are tons of hiking trails in the area, but some of our favorite, Santa Cruz secret trails are Land of the Medicine Buddha in Soquel and Nisene Marks in Aptos. Land of the Medicine Buddha is right off of Highway One in the little town of Soquel, it’s a Buddhist retreat that provides classes and meditation services, as well as 100 acres of land in the Santa Cruz Mountains. Buddhist prayer flags hang in the trees, there are golden Buddha statues, gongs, and more. Stop and reflect at the Buddhist shrines, you might even see a monk or two. Nisene Marks located in Aptos is another beautiful Santa Cruz secret spot perfect for hiking and exploring.This is a quiet oasis where you can immerse yourself in the comfort of the surrounding redwood forest that towers high above as you hike, jog, or stroll your way through the many accessible 30 miles of wilderness trails. You are sure to work up an appetite as your traipse through the trees, so stop for some good BBQ and live blues at nearby Aptos St. BBQ afterward. This is a Santa Cruz secret spot great for the warm days of late Summer and early Fall. Sometimes, there’s just nothing like a summer day hanging out by the pool. 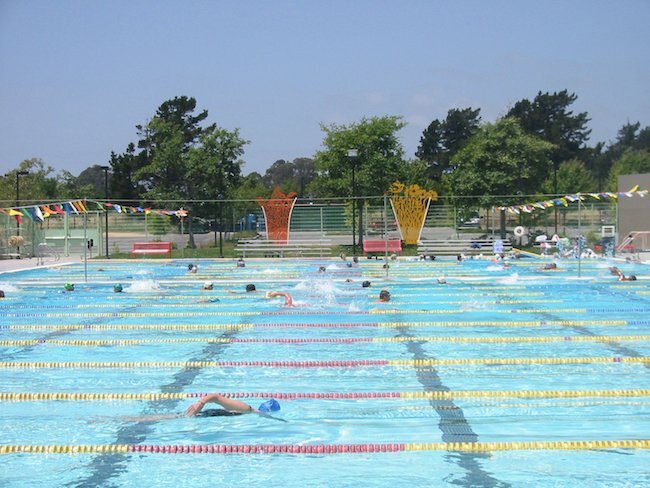 If you want to take a break from all the sand at the beach, then head to the Simpkins Swim Center where you can pay a small fee for access to open swim times at the outdoor pool. There’s also recreation swim time at the warm water pool which includes a spray zone, water slide and inner tubes. Check the site for their summer schedule. 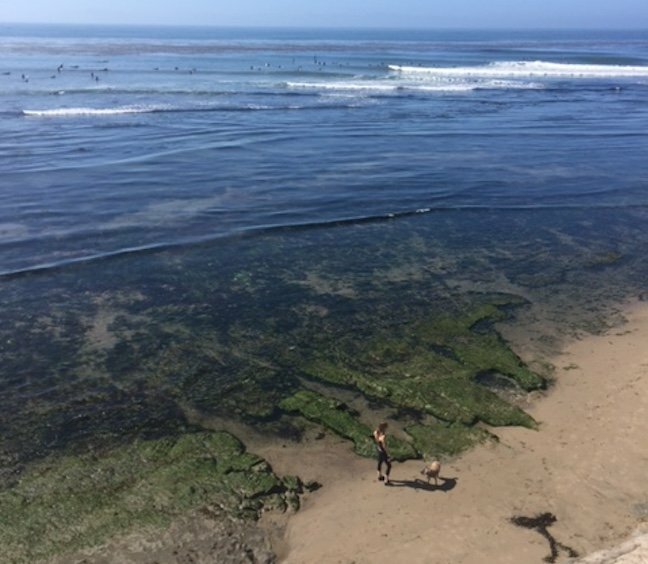 At this Santa Cruz secret spot you can see some cool sea creatures! Explore East Cliff in between the Point and Rockview Beach during low tide. The water goes way out, exposing tons of little cracks and crevices that serve as the home to starfish, sea anemone and other tiny critters. It’s a super fun activity for kids to get their hands in the sand and get up close and personal with some marine life. It’s also worth it just to see the beautiful colors of the blue green mossy rock peeking out from the water. Check out the Point Market nearby for amazing breakfast burritos too. This is a Santa Cruz secret beer spot hidden in an unassuming neighborhood in Capitola. The tasting room is small and bare bones and located in a warehouse at the end of a quiet street, but it’s their Belgian-style beer that gets so much hype. Their beer is praised internationally and in 2015, their Saison Bernice was listed as one of the top twenty beers in the world by TIME Magazine. 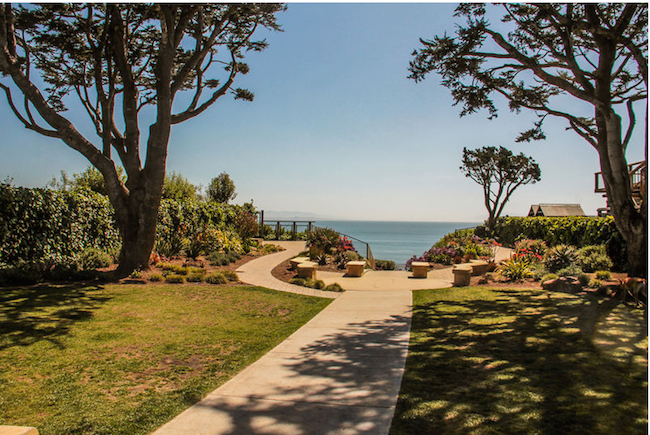 One of our favorite secret hidden spots is located on the Capitola Cliffs midway between Capitola Village and New Brighton Beach in Aptos. It’s absolutely stunning and almost as if you standing on top of the world. 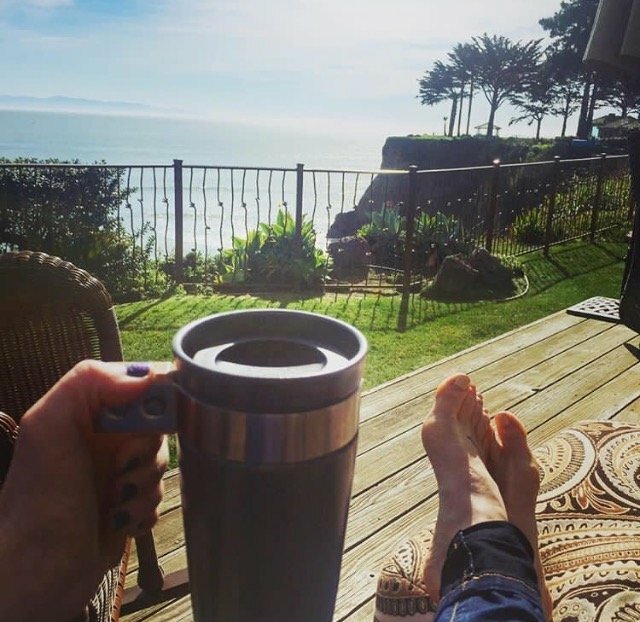 It’s a great jogging destination if you’re staying in one of our beach houses in Capitola. Take the Depot Hill stairs up to the Depot Hill neighborhood, follow the road that leads behind the Monarch Cove Inn and you’ll reach the cliffs. Continue running along the train tracks all the way to New Brighton Beach and stick your toes in the water, consider it a natural post workout ice bath. Treat yourself with a manicure, pedicure, facial and/or massage at the Opal Spa and Boutique off 41st Avenue. It’s a Beach House Rentals’ favorite indeed. Be sure to call ahead to make a reservation! Walk next door to Amazon Juices for an acai bowl, smoothie or sandwich! 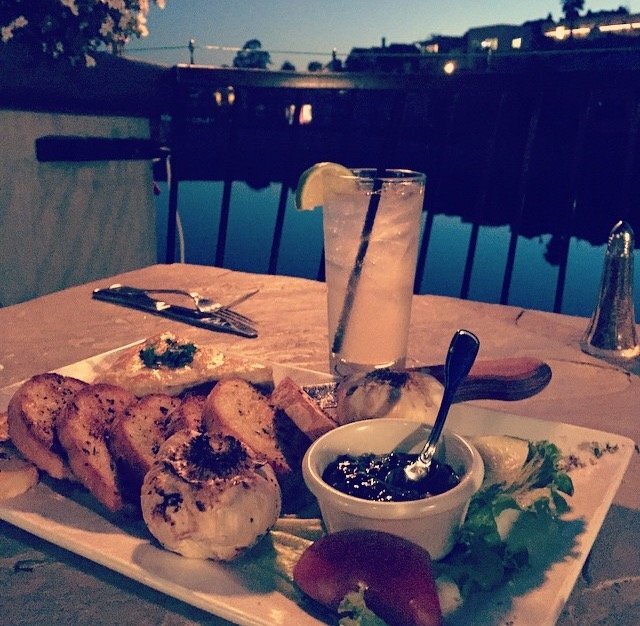 Take a stroll through the Santa Cruz Yacht Harbor and stop by the Crow’s Nest Beach Market and grab a slice wood-fired pizza, enjoying the views of the boats drifting through the harbor on their patio. As you make your way into Capitola Village to check in to your beach house, make sure to stop by Gayle’s Bakery for some sweet treats, breakfast or lunch!